Pavtube Video Converter 4.9.0.0 is the best Video(SD/HD/4K) solution for Windows users to convert video, compress video and transcode video clip to almost all popular video and audio formats. Now it upgraded to new version for Windows 10/8.1/8/7 users support newest NVIDIA CUDA & AMD APP technology in video decoding to improve performance and ensure users much faster conversion speed than ever before coping/ripping/converting any Videos as you like, the GPU acceleration saves users time when encoding various video files to H.264 codec or H.265 codec. With a PC running on a CUDA-enabled Graphics card, or an AMD graphics card with AMD APP technology, the conversion speed of Pavtube Video Converter software is about 5X faster than before. What's New of Pavtube Video Converter? You can learn how to use Pavtube Video Converter to convert video to H.265 quickly with NVIDIA CUDA & AMD APP technology. Thank your reading. 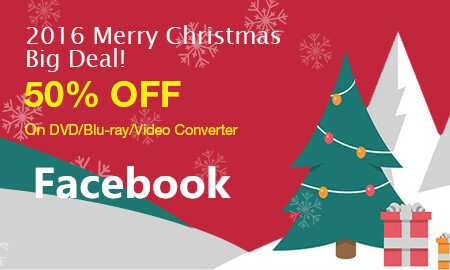 Pavtube Christmas Day & New Year Promo 2016 at Facebook is now on with 50% off DVD/Blu-ray/Video Converter. Come to Join us in the Big Christmas & New Year Sale. Christmas trees can be seen everywhere, Twinkle twinkle little star. You can hear Christmas songs everymoment. One year has passed, Christmas came again. You are growing old,what impressed you during this year? You must have many unforgettable moments, don't only keep them in your mind,write down as diary or take the moment by your equipments, such as photos or videos.These will be your precious wealth when you're really old. They will tell you about these good times. There must be many photos and videos on your camera/cell-phone/VCR. Do you want to edit them and keep them as your own personal collection? Also you can share on your social community with your friends! You're the main actor and also the author!Keep the videos on your phone/PC/iPad,or NAS/Plex/VR as family movies and you can review them anytime if you want. Follow me and know more about what can Pavtube do. 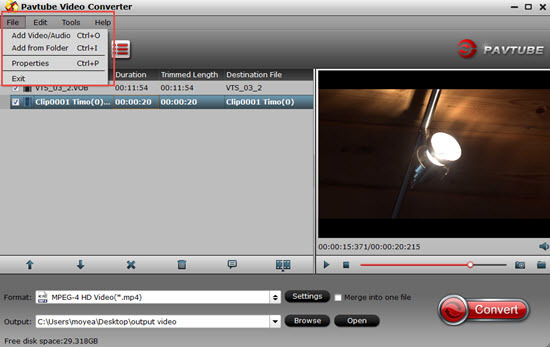 Take Pavtube Video Converter Ultimate as an example. This is our star product,integrates a best a video converter, a DVD converter, and Blu-ray converter together. You can use this program to not only edit videos but also rip your DVD/Blurays. The following will make you a better understanding of this program. A---Convert almost all 4K/HD/SD audio/video formats from Sony, Canon, Panasonic, JVC, etc. C---Convert 4K videos in various formats like XVAC, H.265, AVI, MOV, MXF, MP4, AVCHD, MTS etc. D---Convert videos in batch to MP4, M4V, MOV, AVI, MKV files with 3D/2D effects. E---Help enjoy camcorder videos & BD/DVD movies on iOS/Android/Windows Tablets & Phones, and HD Media Players, TV etc. F---Convert/Rip/Transcode BD/DVD/Video to virtually any video/audio format. G---Windows version supported OS: Windows XP/2003/Vista/Windows 7/Windows 8/windows 10, Mac version supported OS:Sierra. So, Pavtube products can assist you to creat special timeless memories whether it's for your own use or for family/friends. Pavtube will always be a capable assistant. We hope Pavtube can bring you more joy, no matter now or the future. Start from now to Feb 7, 2017, Pavtube announced the biggest up to 50% off promotion for celebrating 2016 Xmas and 2017 New Year. Ok, now let’s start our Christmas story and New Year story! An extremely all-in-one powerful app to convert, edit, enhance, capture any Blu-ray, DVD and Video files for playing anywhere and anytime you like. An Efficient, Safe, Fast, Easy-to-use Blu-ray DVD converter and convert movies to MKV/MP4/MOV with multiple audio tracks and subtitles. Do it all - Backup, Copy and Rip Blu-ray and DVD Movies with Multi-track on Mac El Capitan. Free SD/HD video enjoyment and editing on Mac. An all-in-one HD video processor and converter. An all-in-one HD video processor and converter for Mac. 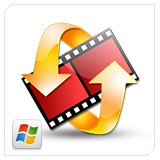 Top AVCHD Converter for mobile devices and windows editers. Enjoy MTS/M2TS/M2T/TS/AVCHD videos effortlessly on Mac. Handle Canon/Sony/Panasonic MXF conversion for free playback. Best Solution to handling MXF footage on Mac. Multiple audio track/channel preserver, mixer, and converter. Edit and rip DVDs to almost all other popular video and audio formats for backup/playback/editing. What a big promotion! Don’t miss the chance! 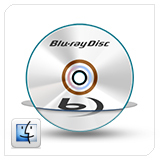 Costing you the lowest price to get various DVD/Blu-ray/Video converter. Lowest Discount! Action! Pavtube creates expert multimedia software applications that help consumers access, transfer and share their digital content across different devices that range from PC, Mac, tablets, smartphones to HD media players, game consoles and home theatre systems. On the basis of computer OS, Pavtube products are divided into two categories - Windows solutions and Mac solutions, spanning across video converting, editing and enhancing.